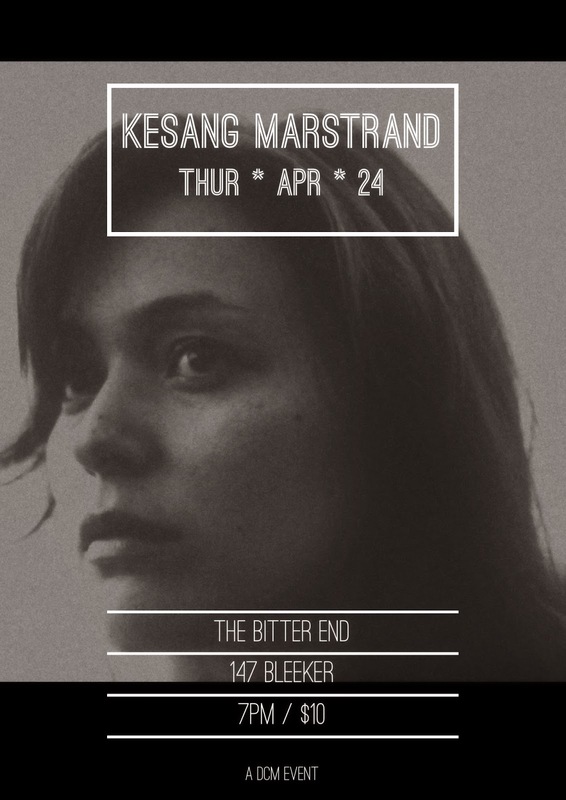 For her comeback on a NYC scene, Marstrand will be playing at the Bitter End on April 24th at 7pm. Established in 1961, The Bitter End is the oldest rock and roll club in New York City. The classic red brick stage backdrop and intimate vibe make this historic venue almost as iconic as its headliners. For over 50 years, our audiences have been blown away by legendary artists like Stevie Wonder, Bob Dylan, Lady Gaga, Jackson Browne, Neil Diamond, Gavin DeGraw, Woody Allen, Jon Stewart, Randy Newman, Billy Crystal, Tommy James, Norah Jones, Donnie Hathaway, Curtis Mayfield, and thousands more. She will be playing some of her best hits as well as some new material that is currently being recorded for her next album scheduled for the summer of 2014. AllMusic calls Marstrand an, "unusually gifted singer and composer" and describes her songs as, "eloquent emotional sketches.” I will, of course, attend the concert and I look forward to meeting you all at The Bitter End.